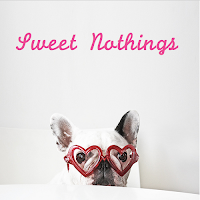 I'm guest posting today over on Sweet Nothings. Sara and Danielle, the wonderful ladies behind this blog, asked me to dump out my bag and spill my secrets on what I carry around with me everyday. 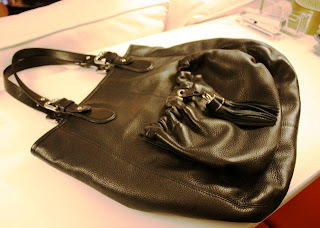 So head on over to Sweet Nothings to check out the contents of my bag. PS- I totally forgot to include my phone! It's usually in my jacket pocket or I'm on it, so that's why I forgot. Can you guess what color my phone is? Oh love these kind of posts. Heading over there now! I LOVE seeing inside other people's purses. Is that weird?? Going over to check it out now! Now, this is funny. Can't wait to go read it. I would be way too embarassed to participate! What an adorable idea - and you have a really neat bag! haha very cute idea and I do love that colour of a phone! thanks so much for taking part!!! How fun! And I don't think I need to tell you that I wholeheartedly approve of your orange phone! What a fun idea - heading on over to check it out now!